I think that’s exactly what they do sometimes! 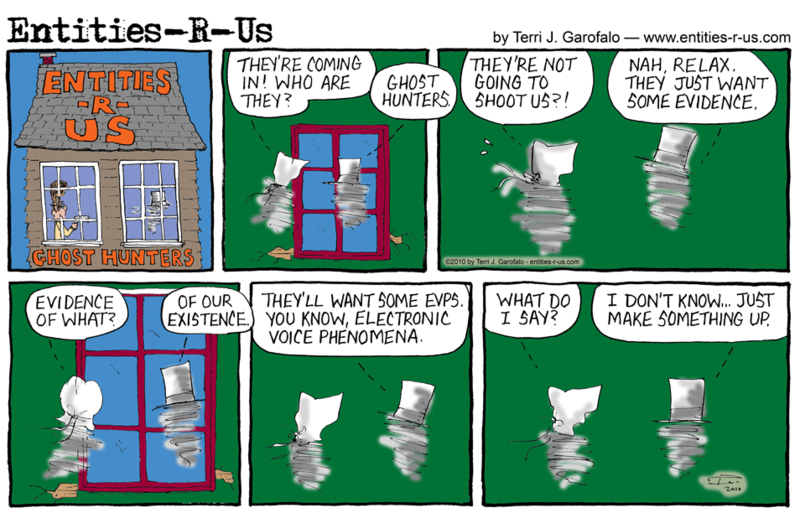 Judging by the insane EVPs that show up sometimes, I’m not surprised! LOL Now you know where the idea came from!